The Classic Moth Nationals are always held off of the Pugh's lawn in Elizabeth City, North Carolina. 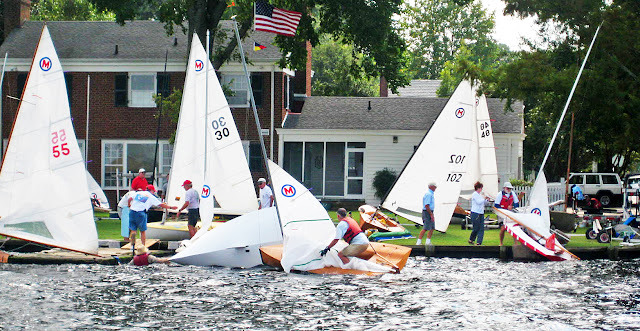 The previous header photo is the fleet coming in from racing on the Saturday - 2009 Nationals. Mark Saunder's Mistral is the varnished Moth front and center. 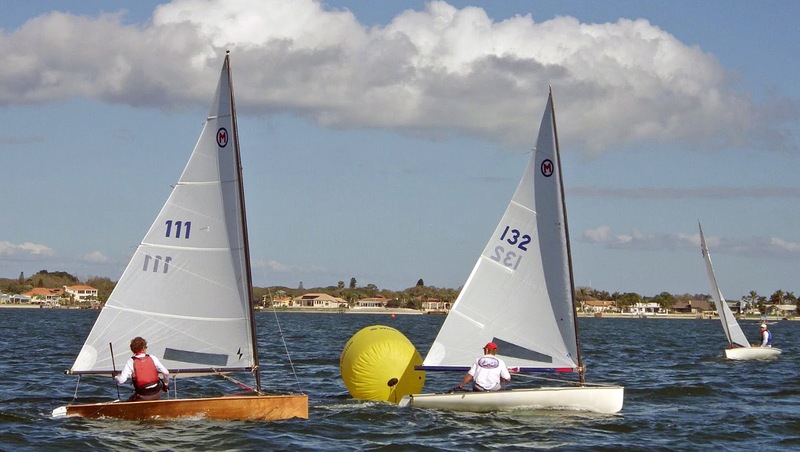 Scott Wolff's modified Cates design, "Sidewinder" is the red and white stripe Moth being pulled up by skipper Gary Gowan on the right. A Racing Scow in 1871? In Sydney? I've stated on this blog that I believe that Thomas Clapham invented the racing scow out of Roslyn, New York in 1890. Just recently I came across, courtesy of the Aussie Open Boat page on Facebook, a reprint of the Illustrated Sydney News drawing of the 1871 Sydney Anniversary Regatta. Much to my surprise, front and center in this drawing there is a cat-rigged craft with some features of a scow-ish type bow, some 20 years before Thomas Clapham's Bouncer scow. There is no evidence from the top-down view that this early Sydney sailing craft had a scow hull shape; it is just as likely that the hull had conventional sections and a keel, but this does show that unconventional "pumpkin seed" sailing craft were present at the very beginning of the small recreational sailboat. 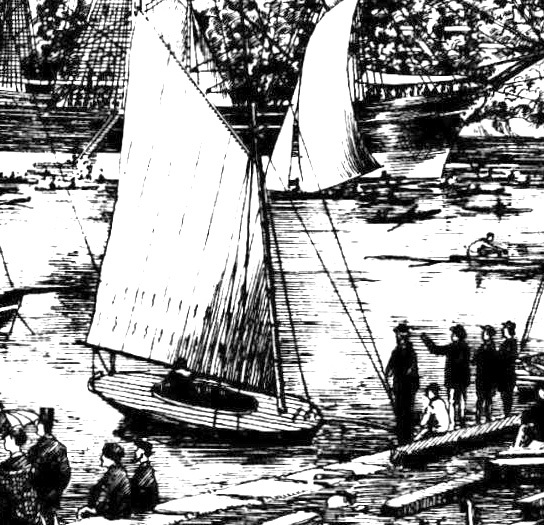 John Watkins has written that there was an East River (New York City) sailing scow that was raced post Civil War but I have yet to come across visual evidence (prints, drawings) of that scow clas. 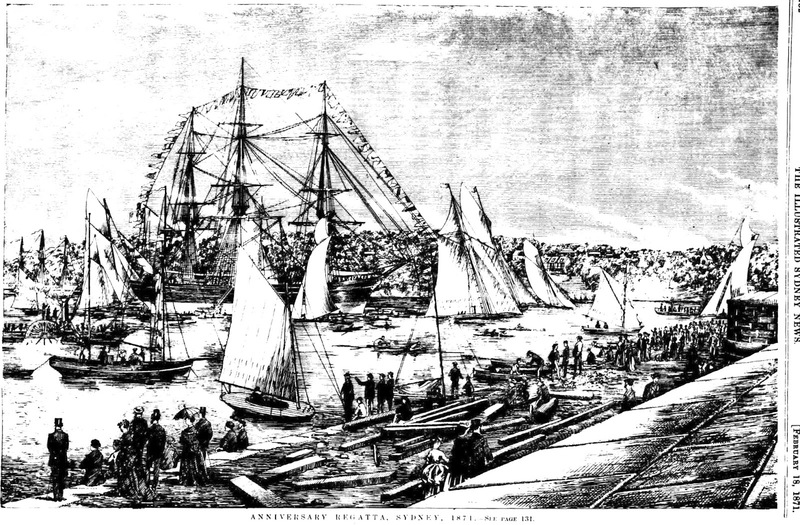 The Illustrated Sydney News print. A zoomed-in image of this unique Sydney sailboat. Paul Elvstrom's most mentioned accomplishment is his four Olympic Gold Medals. However, to my mind, Elvstrom's greater accomplishment was winning both the Finn World Championship (Finn Gold Cup, 1958 and 1959) as a skipper and also the 1962 Flying Dutchman World Champion as a trapeze crew (Olympic performance double-hander at the time). There is no better example of Elvstrom's greatness than being the top skipper in the most competitive singlehander class of his era and the top crew in the most competitive trapeze class of his era. Paul Elvstrom's experience as a trapeze crew led him to develop the first trapeze singlehander class (named, what else, the Trapez) which he introduced at the 1965 singlehander trials in Weymouth, England. You would think winning a Finn Gold Cup and then turning around and winning a World Championship as a trapeze crew would be unique in sailboat racing but it turns out the accomplishment was repeated - by an American. Cam Lewis won the Finn World Cup (1979 and 1980) and was also winning trapeze crew at the 505 Worlds (1981 and 1982 - twice, for two different skippers). I would think with the increasing specialization in training for the Olympic classes that we will not see anyone else join this exclusive "double skipper/crew championship" club. Cam Lewis in his Finn. Header Photo: Dave Porter and crew in the Wooden 18-Footer "Aussie"
"Most dynamic skipper in eighteens today is without doubt Dave Porter in "Aussie". Here he is demonstrating his extreme trapeze style in which he actually looks ahead underneath his crewmen, Bob Moore and Ted Griffiths. "Aussie" in the past year has chalked up a remarkable series of wins, among them the NSW state title, and second in the Australian title to "Travelodge" (Bob Holmes). Neil Kennedy fleshes out the history of Dave Porter and "Aussie". 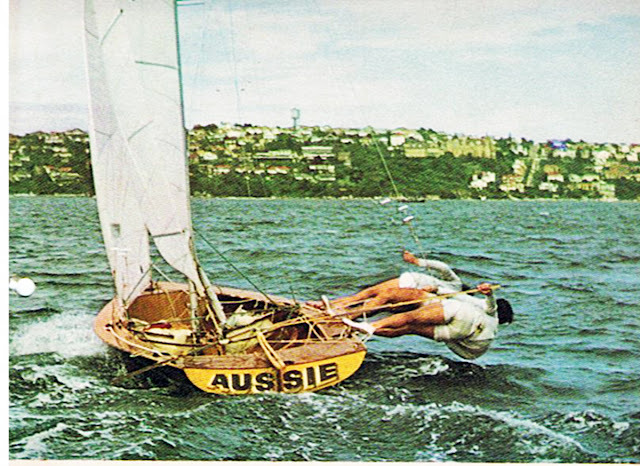 "Aussie was a 1970/71 season Sydney 18 and the first three handed 18 which finally led to the demise in Sydney of the four handers that had dominated the 18's from 63 onwards. "She was designed by NZ amateur designer John Chapple who was a very successful 12ft skiff sailor and featured a high aspect ratio rig with a short footed jib. She quite straight fore and aft [ed. note: i.e. rocker] but with slack saucer like sections from midships which made her very quick but equally slippery down wind and especially gybing. That season was very much a crossroads design with the Hugh Cook designed Travelodge being the latest refinement of the Sydney four handers, and the powerful Wille B design leading that theme, while in NZ the first really successful Bruce Farr Miss UEB showed a taste of what was to come in the next four years, when Bruce dominated the class. That whole period is a great story in itself. 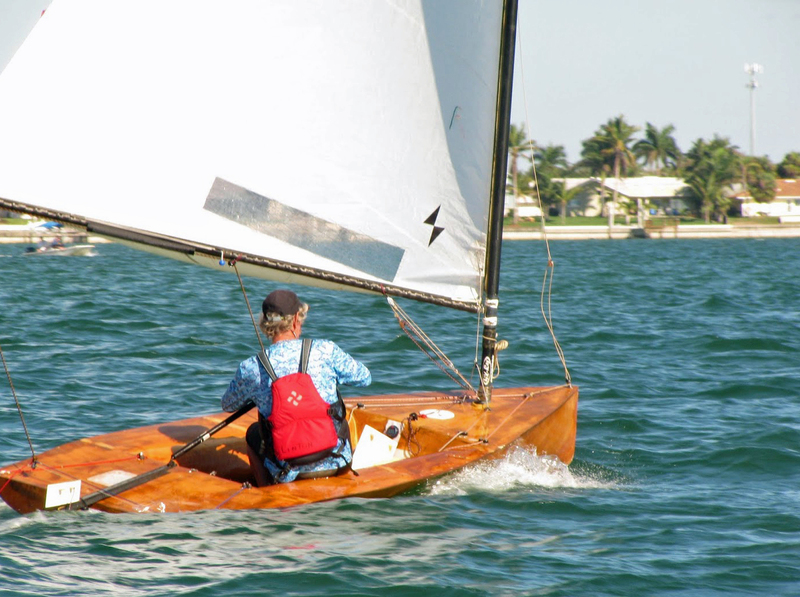 "The "Classic" is an informal opportunity for boats of all different sizes and designs to compete together in a low-key race against other wooden vessels. The event has grown each year, with boats ranging in size from 8-feet to 65-feet and traveling from as far away as Canada to participate. That record will be broken this year, when sailors from the Sydney Flying Squadron, Australia's oldest open boat sailing club, will be visiting Annapolis to participate using their own fleet of historical 18-foot skiffs, which they are shipping here from Australia specifically for this event. 18-foot skiffs, considered by many to be the fastest class of sailing skiffs, began racing on Australia's Sydney Harbor in 1892 and later in New Zealand. 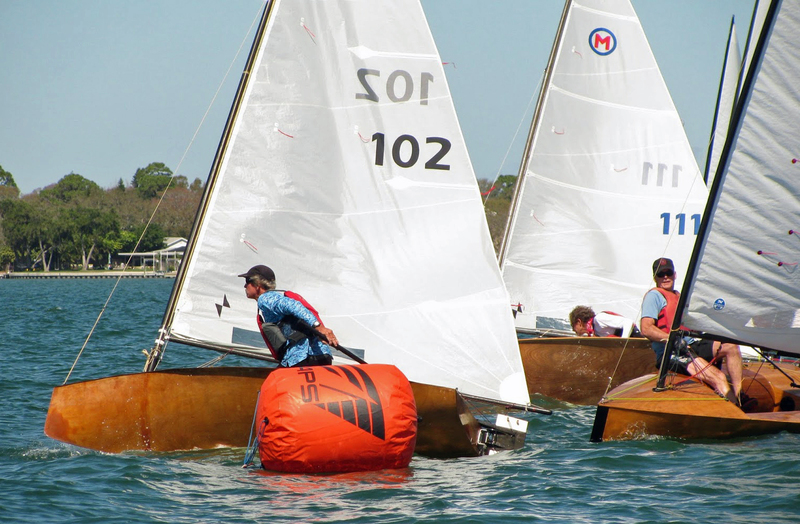 Called "Aussie 18s" by their owners, the skiffs will be dockside for public viewing on Friday and Saturday, September 15-16, along with the many other participating classic boats. "We are very excited to have the 18-footers from Australia here for the Classic Race," said Maria Museler, the event's volunteer organizer. "Anyone who loves wooden sailboats won't want to miss this great opportunity to meet with wooden sailboat owners, take part in a fun race, and show off your classically designed sailboat for everyone in Annapolis, Maryland." Wowee! HotDawg! Sandbaggers and Classic 18-Footers together. Two over-canvassed, over-crewed vintage battlewagons. Should be quite a sight on Annapolis Harbor. This song just resonates with me - part of it is the pedal steel, part of it is her voice. ALANNA GURR & THE GREATEST STATE - Hell Or High Water from Southern Souls on Vimeo. 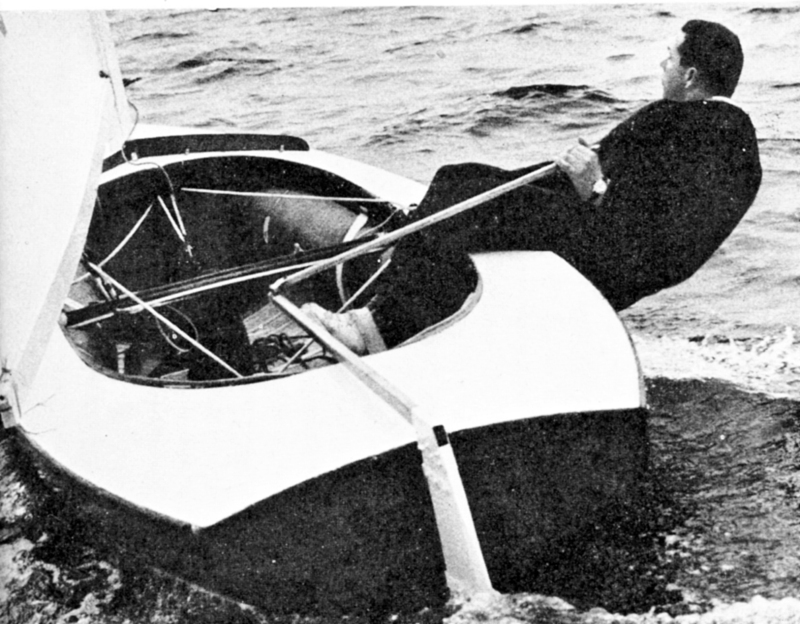 Paul Elvstrom passed away a couple of weeks after I posted about one of his projects, an obscure 11 foot dinghy, the Elvstrom Jr.
Paul Elvstrom was my teenage sailing hero in the 1960's; a larger-than-life king who ruled over the best dinghy sailors on the planet; the Olympic Finn sailors. 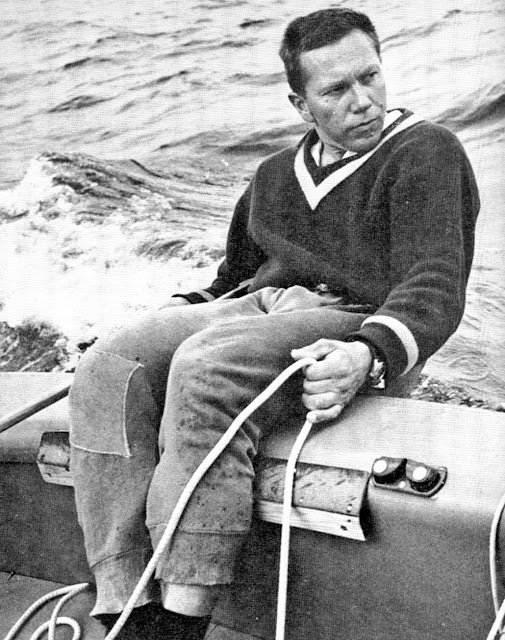 Just as Theodore White romantically redefined the JFK presidency as a hero king ruling over Camelot, yachting journalist Jack Knights did the same with Paul Elvstrom and the band of rough, tough Finn sailors bestride the sailing dinghy world of the 1960's. Jack wrote a column for Yachts and Yachting magazine, a magazine I received via surface mail through the grace of my kindly Aunt Doris. Most columns had some news about the goings on of the Finn crowd. Through Jack Knights, the top Finn sailors of the 1960's; Richard Creagh-Osbourne, Jorg Bruder, Andre Nelis, Willi Kuhweide, Valentin Mankin, Hubert Raudaschl, Peter Tallberg, Thomas Lundquist, Peter Barrett, Henry Sprague, Bob Andre, the East Germans..., became lasting heroes as they fought each other in grueling battles in gale force winds. Jack Knights, who himself was three time English champion in the Finn, always painted Paul Elvstrom in a different league from his counterparts. His reports added another facet to the legend. There was the Jack Knights report on Paul Elvstrom's first Star Worlds. Paul finished third in the first race but was unsatisfied with his boat speed. Overnight he moved the mast 6 inches forward which entailed, cutting the deck, changing his spreaders, changing the rigging. A normal sailor would not do this in the middle of a championship. Paul didn't give it a second thought and went on to dominate a windy World Championship. Paul Elvstrom was the best and Jack Knights was the brilliant scribe who wrote the sailing story; a legendary band of heroes led by the incomparable Dane. The previous header photos was of one of the starts at the 2017 Classic Moth Midwinters, held at Gulfport, Florida over the weekend of February 25 and 26. Reports back from the attendees was of warm, sunny weather, with light to moderate breezes. Our perennial champion, Jeff Linton from Davis Island Y.C., made one of his occasional appearances to win the Gen II division and the regatta overall. 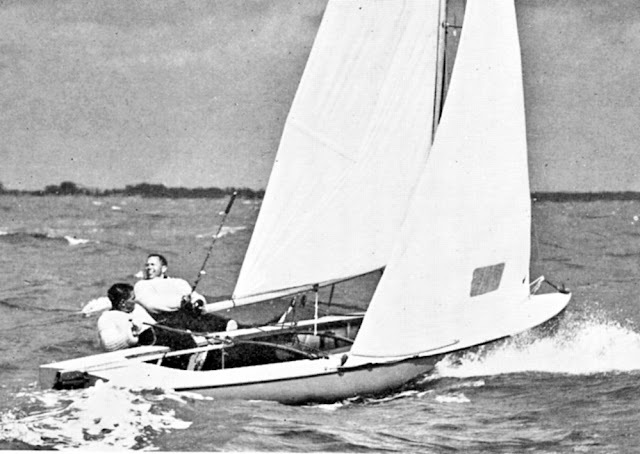 The Gen I division was entirely a fiberglass Europe Dinghy division and was won by Frickie Martschink from Charleston. George Albaugh, over at Mid-Atlantic Musings, attended the regatta and wrote a detailed post with lots of photographs. I've lifted a couple of photos from George's blog to repost here as well as two photos from John Z. Photos with no attribution are either by Len Parker or Amy Smith Linton. 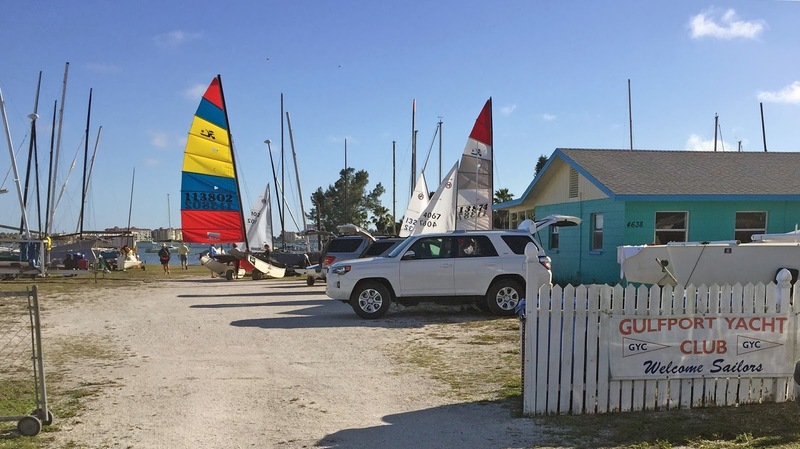 The entrance to Gulfport Y.C on Boca Ciega Bay. What a champion does; execute a perfect port tack on the leeward end of the start line. John Z. to leeward in 111 does the same. Mark Saunders on starboard couldn't quite get to Jeff. Occasionally a Gen 1 Moth will beat a top Gen II Mistral to the weather mark. Here, Fricke Martschink, Gen 1 winner, leads John Z. The Gen II almost always blow by on the first reach. 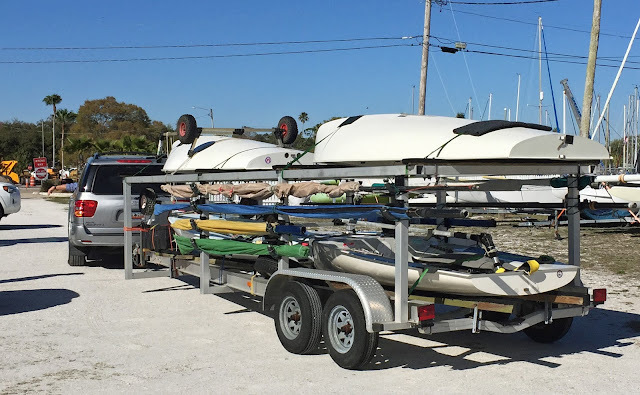 I was told the Charleston S.C. fleet expropriated this massive trailer from their yacht club to transport four of their Europe Moths to the regatta.